There are an estimated 70 million people worldwide claiming Irish ancestry and we are very pleased that the Great Parchment Book project is now accessible and available online to all those who wish to trace their Irish roots. 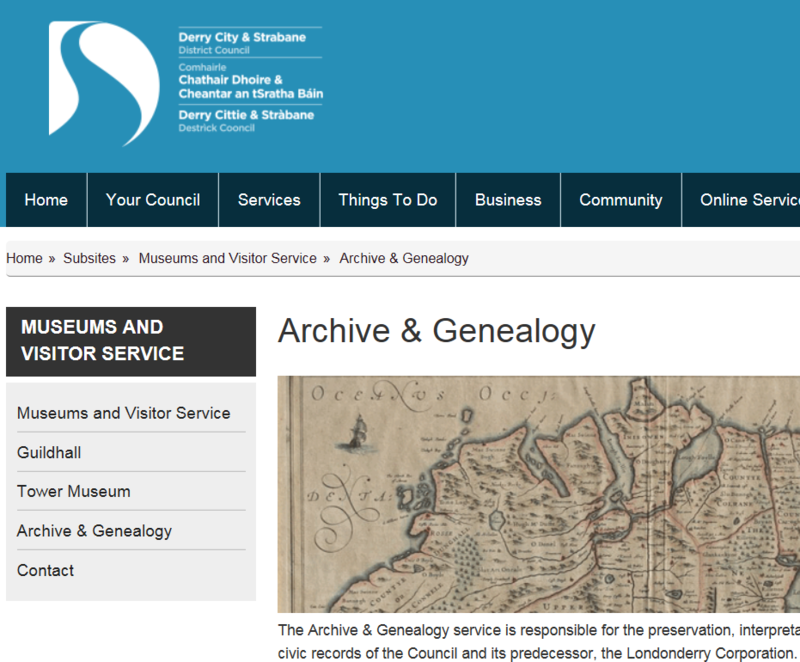 To continue the story of those recorded in the Great Parchment Book, the genealogical collections of Derry City and Strabane Archive & Genealogy service offer another significant resource. These include a database of over one million records including traditional family history records such as birth, marriage and death records. The Archive & Genealogy service is currently in partnership with Irish Family History Foundation to offer a Genealogy service. 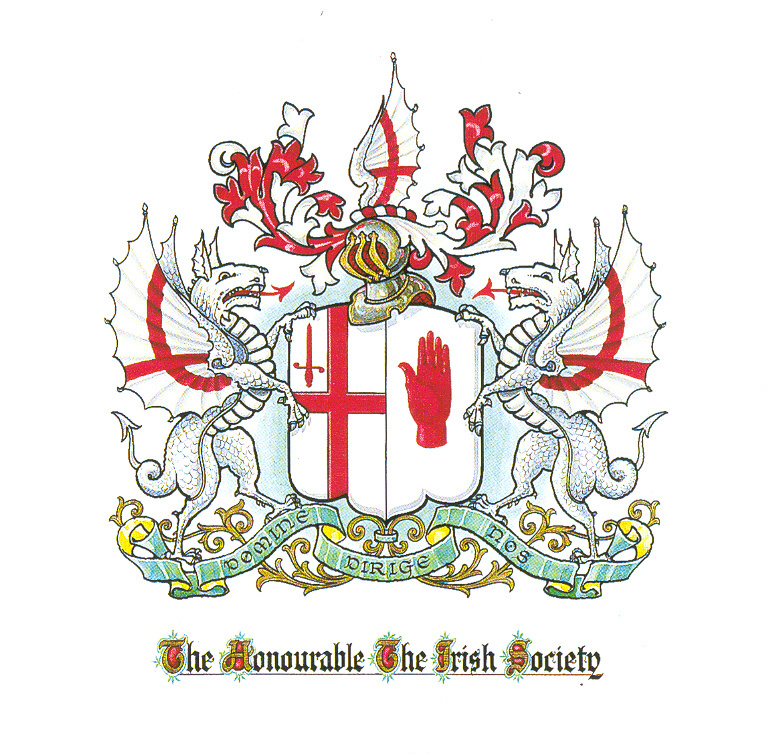 The database of over one million records, dating from 1642 to 1922, created between 1982 and 2007 as a project of the Inner City Trust, from the major civil and church registers of the city and county of Derry~Londonderry and Inishowen, County Donegal is now available at www.derry.rootsireland.ie. Please note that this is a subscription website. 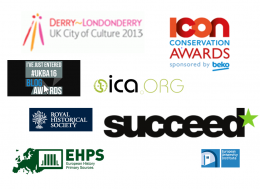 The Derry City and Strabane Archive & Genealogy service is responsible for the preservation, interpretation and creation of access to the civic records of the Council and its predecessor, the Londonderry Corporation. 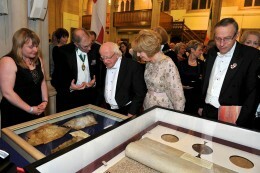 The extensive archive collection constitutes an extremely valuable source of information both for the history of the City and the Council and provides a comprehensive record of the city’s development from the latter half of the 17th century to the present day. It consists of minute books, legal documents, architectural drawings and plans, and private collections. The material ranges from business collections, and items relating to industry, shirt factories, railways, political movements and social history. The genealogical collections includes a database of over one million records including traditional family history records such as birth, marriage and death records. The Londonderry Corporation minute books from 1673. In the late 17th and 18th centuries, the city’s business life consisted of merchants and craftsmen such as butchers and bakers, tailors and shoemakers, smiths and saddlers, joiners and coopers. Records of the Freemen of the City of Londonderry from 1675. 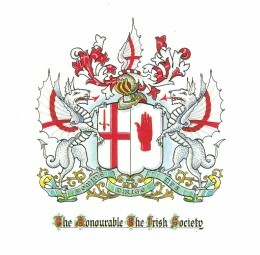 In the 17th and 18th centuries, only Freemen of the City were entitled to conduct business, own property and receive protection within the walled city. These records continue the stories of the inhabitants of Londonderry started in the Great Parchment Book. Find out more about the records held by the Derry City and Strabane Archive & Genealogy service here. 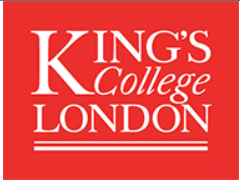 In London we are fortunate to have two leading centres for the study of digital humanities, the UCL Centre for Digital Humanities and King’s College London Department of Digital Humanities. 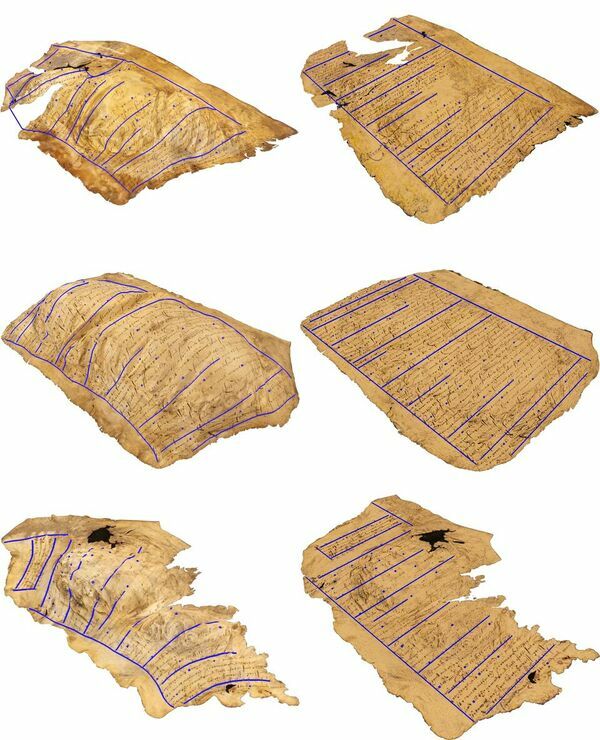 The Great Parchment Book project and follow-on research is very closely allied to the former, but we also have had links to the latter. 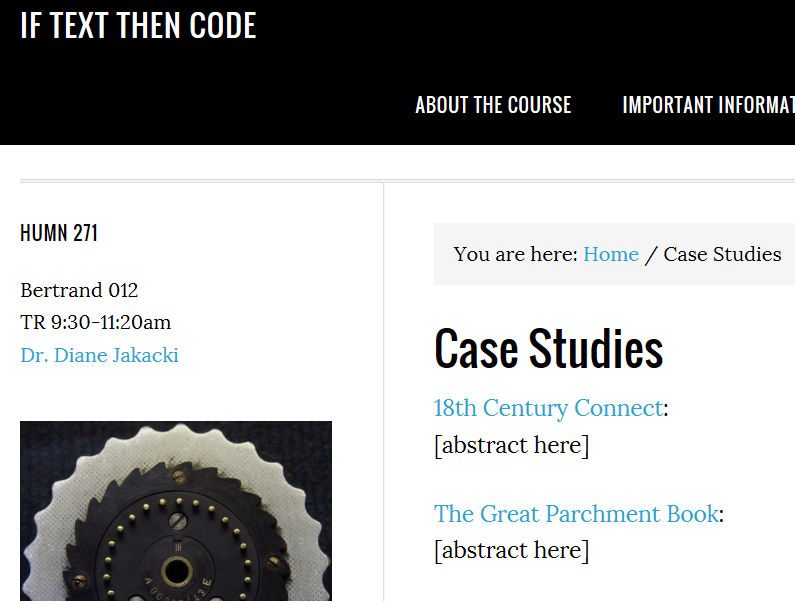 Digital Humanities research takes place at the intersection of computational technologies and humanities and is a relatively new field of research and teaching. It is highly collaborative and typically works across a wide range of disciplines, involving different institutions, both nationally and internationally. It has a crucial role to play in developing the use of advanced technology in the arts and humanities, making possible new kinds of research which positively impact on cultural heritage and memory institutions, libraries, archives and digital culture. The last few years have witnessed a movement towards a more open and inclusive Digital Humanities field. Intersectional studies are developing within Digital Humanities to try to bring a plurality of voices into the conversation. KU Leuven in Belgium is hosting a conference on Intersectionality in Digital Humanities, 15-17 September 2016. KU Leuven’s Digital Humanities Task Force invites individual paper proposals, panel sessions, poster sessions, and tool demonstrations related to intersectionality in Digital Humanities. Lists of possible topics are available via the link below. Please note deadline for this call is 30 May 2016. Confirmed speakers include Professor Melissa Terras from University College London who has been closely involved with LMA with the Great Parchment Book project and research into multispectral imaging. Dates: 15-17 September 2016 (immediately after the Digital Humanities Summer School, 12-14 September 2016). 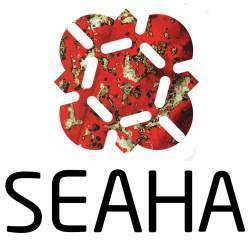 An impressive line-up of world class speakers will be sharing their experience and recent findings and showcasing the power of multispectral and hyperspectral imaging at a SEAHA special seminar in Oxford on 30 June 2016. This is an event not to be missed if you are an Imaging Scientist and Heritage professional keen to learn and share more about this exciting area of research. Speakers include colleagues from UCL, LMA’s partners in the Great Parchment Book project with whom we are continuing to be involved in research around multispectral imaging under the auspices of SEAHA (the EPSRC Centre for Doctoral Training in Science and Engineering in Arts Heritage and Archaeology). Delegates are also invited to submit a poster so they can share their own knowledge and discoveries. Includes registration, refreshments, sit down lunch and wine reception. More details and booking information may be found here. 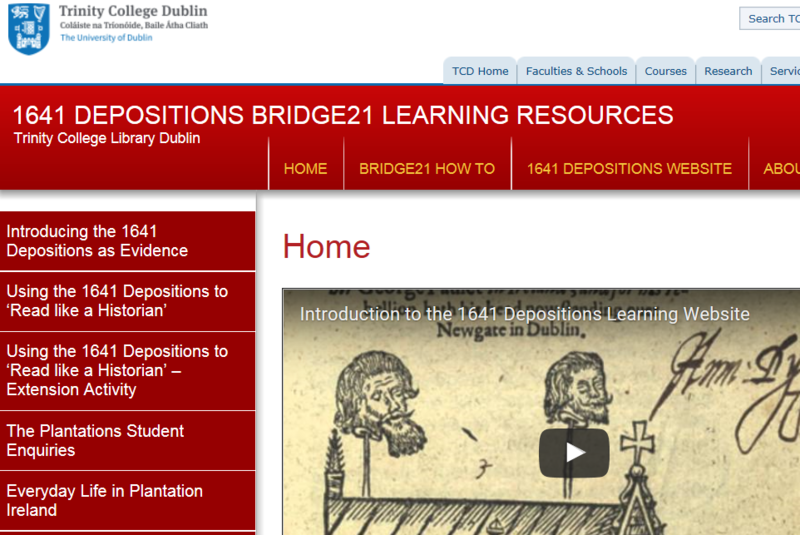 Previously on the Great Parchment Book blog we have looked at related sources such as the 1641 Depositions held at Trinity College Library Dublin. 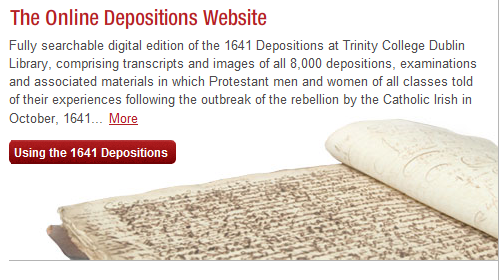 The 1641 Depositions comprise transcripts and images of all 8,000 depositions, examinations and associated materials in which Protestant men and women of all classes told of their experiences following the outbreak of the rebellion by the Catholic Irish in October, 1641. 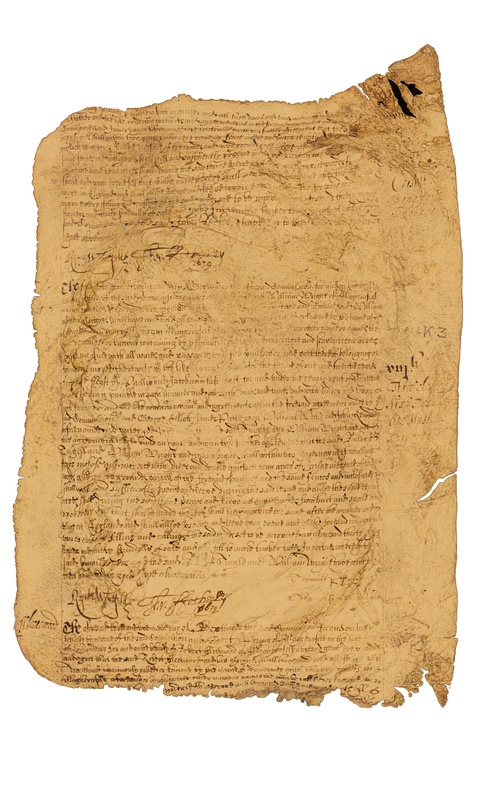 The 1641 Depositions Project had similar aims to the Great Parchment Book project to conserve, digitise, transcribe and make the depositions available online in a fully TEI (Text Encoding Initiative) compliant format. 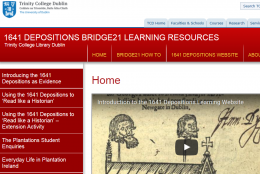 You can hear more about the project and it’s future at the forthcoming CERL Dublin Manuscripts Conference 25-27 May 2016 being held in the Library of Trinity College where Professor Jane Ohlmeyer, one of the Principal Investigators on the project, is speaking on ‘The 1641 Depositions: what now?’ in a session on ‘Post-digital issues and concerns 1615-1745’. The conference is entitled ‘Unique and universal: challenges for the manuscript librarian’ and is the 7th conference of the European Manuscript Librarians Expert Group of CERL (the Consortium of European research Libraries). 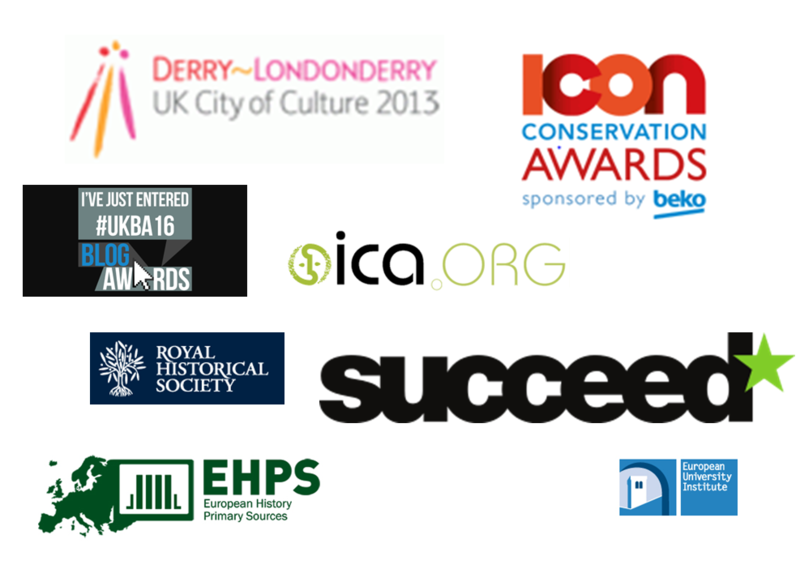 The primary aims of the Group are to act as a forum for curatorial concerns, and to enhance understanding and practical cooperation among curators across Europe. The conference will focus on the themes of commemorations and anniversaries, materiality, and post-digital issues and concerns. Find out more about the conference and how to register here. 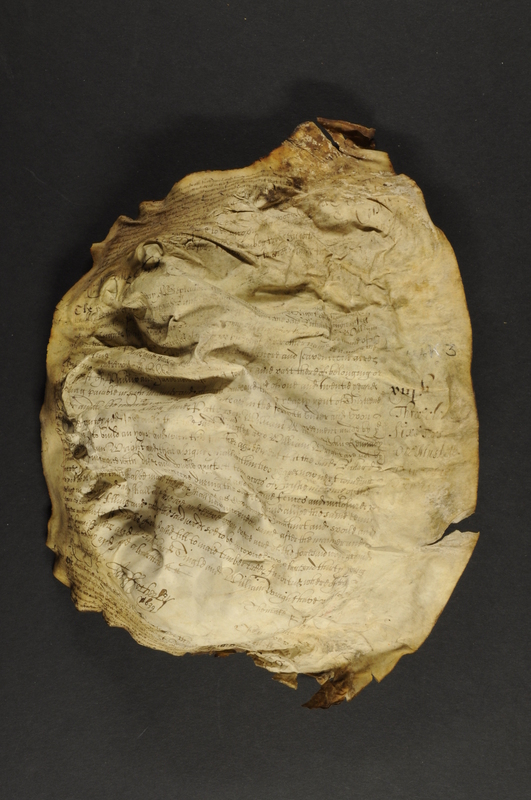 In our previous post in this occasional series reflecting on the different elements which make up the Great Parchment Book project we looked at conservation; now it’s the turn of digital imaging. 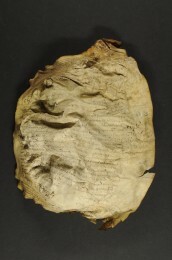 It had been evident for many years that traditional conservation alone would not produce sufficient results to make the Great Parchment Book accessible, although there had been at least one attempt in the past. Following discussions with conservation and imaging experts, it was decided to flatten the parchment sheets as far as possible appropriate to their fragile state to enable digital imaging with the ultimate aim of reconstructing the manuscript digitally. We knew from the first that this was an undertaking without a certain result as we were committed to exploring new techniques and technologies; nothing else had any chance of success. 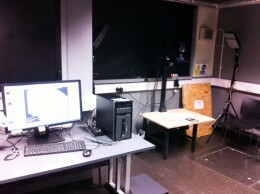 A partnership with UCL established a four year Engineering Doctorate in the Virtual Environments, Imaging and Visualisation programme in September 2010 (jointly funded by the Engineering and Physical Sciences Research Council and LMA) with the intention of developing software that would make the distorted text legible. The doctoral student, Kazim Pal, was supervised by Melissa Terras, Director of the UCL Centre for Digital Humanities and Professor of Digital Humanities in the Department of Information Studies at University College London and Tim Weyrich, Professor of Visual Computing in the Virtual Environments and Computer Graphics group in the Department of Computer Science, University College London and Deputy Director of the UCL Centre for Digital Humanities. During the digitisation phase, which in part ran alongside the conservation, a set of images was captured for each page and used to generate 3D models. Ground-breaking software was developed to allow these models to be flattened and browsed virtually. Kazim’s work was more successful than we could have hoped with the digitally flattened images of the folios featuring on the dedicated Great Parchment Book website alongside a transcript making the Great Parchment Book available for consultation by researchers once more. 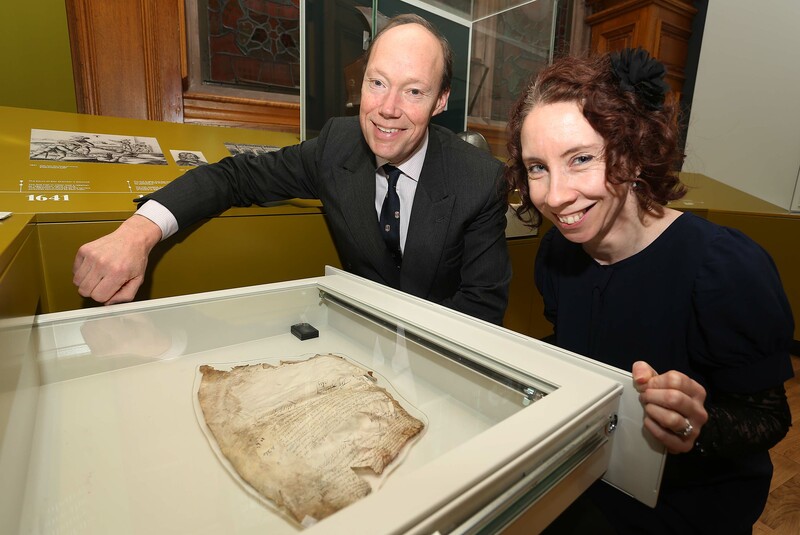 The digitisation of the Great Parchment Book was recognised in 2014 when the project received a European Succeed Award (for digitisation focussing on textual content) Commendation of Merit. You can explore the digital imaging of the Great Parchment Book in detail on the blog (go to the end of the page once you’ve clicked the link to read in chronological order). See also the UCL project web page which includes access to the free software produced in the course of the project and the amazing video of the flattening software in action. 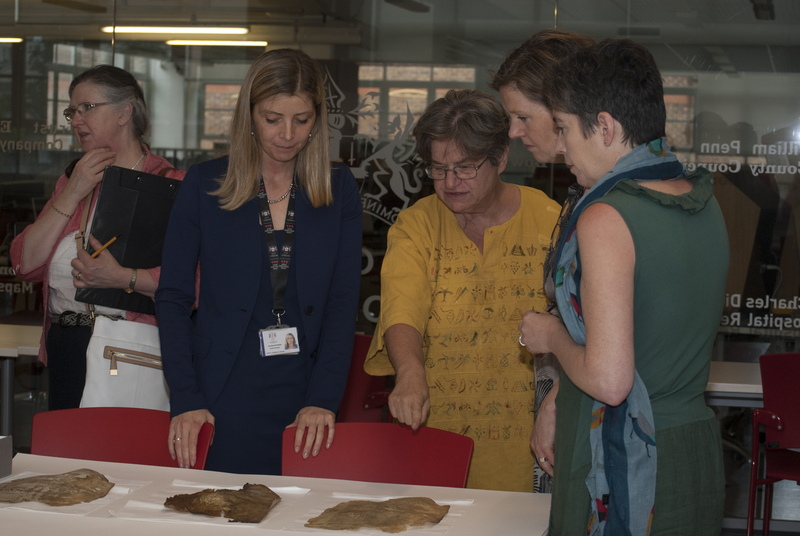 We also continue to highlight other developments which are revolutionising access to archives through the use of new technology and innovation on the blog. Interdisciplinary research has been key to the success of the Great Parchment Book project. 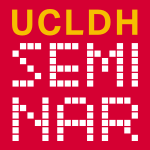 In the next seminar in the UCLDH seminar series, Mona Hess, Research Manager at 3DIMPact (3D Imaging, Metrology & Photogrammetry), UCL Civil, Environmental and Geomatic Engineering, offers a cross-disciplinary approach for 3D imaging metrology and 3D printing in cultural heritage, arts and humanities and for creative industries. The potential of 3D images is increasingly recognized by heritage professionals for opening up new technological possibilities for digital documentation, analysis and research, exhibition display and education. 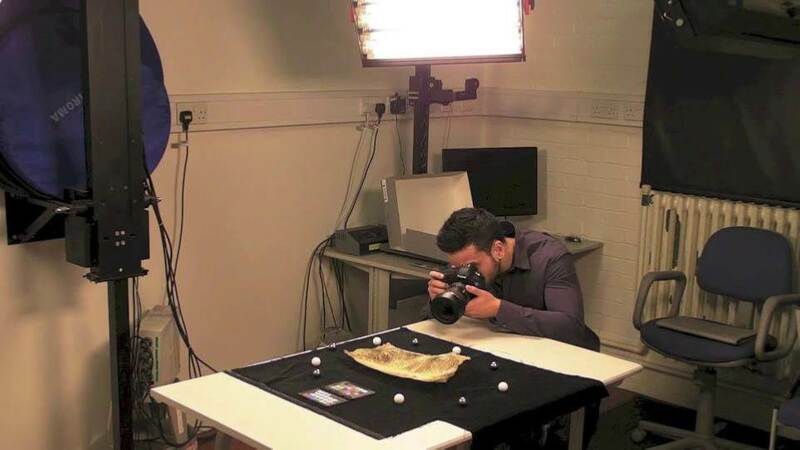 Currently there is no comprehensive understanding of the 3D image qualities for a digital artefact from the point of view of a heritage professional. In this talk, Mona Hess will give an overview of the qualitative research undertaken to explore heritage professionals’ requirements, and examine the outcomes of the research, including a framework to assess 3D image quality and to plan 3D imaging projects according to user requirements and sensor capabilities. To book a place go to Eventbrite. If like us you are excited by ways to revolutionise access to archives through the use of new technology and innovation, you might be interested in a conference on Handwritten Text Recognition in Germany early next year (2016) as part of the co:op project. 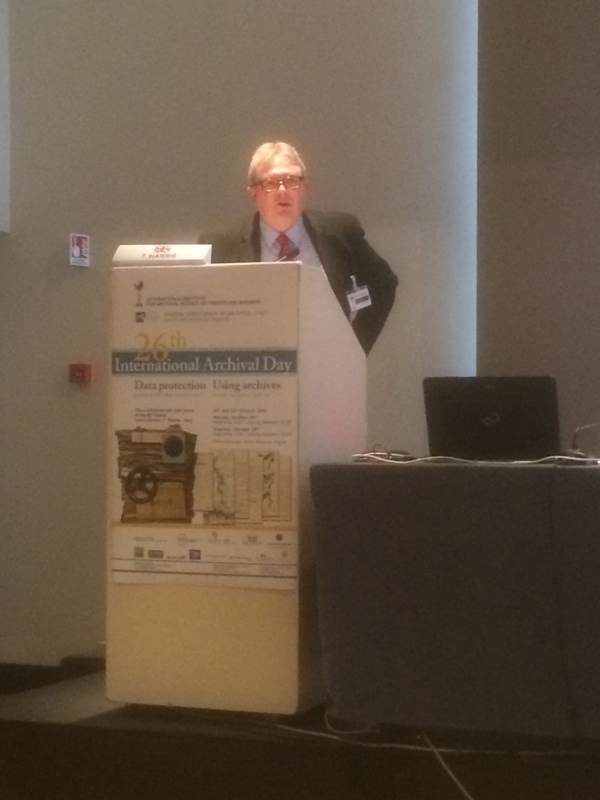 Technology meets Scholarship, or how Handwritten Text Recognition will Revolutionize Access to Archival Collections. Participation at the event is free, but please register on the project website where you will also find the detailed programme. 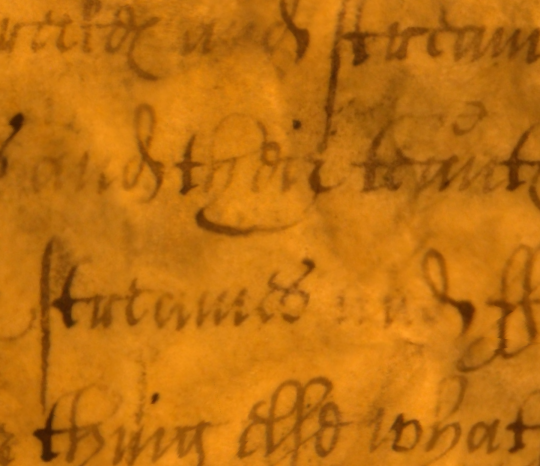 If you want to get an idea of the possibilities of Handwritten Text Recognition, take a look at the website of the EU project tranScriptorium, as well as the Virtual Research Environment TRANSKRIBUS. We’ve posted before about HTR – see also Magic in Action which refers to tranScriptorium and Update in developments in HTR technology which looks at the READ (Recognition and Enrichment of Archival Documents) project. 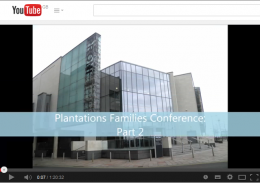 Update May 2016: The presentations at the Marburg conference were all filmed and have been published on the co:op blog and co:op Youtube channel. 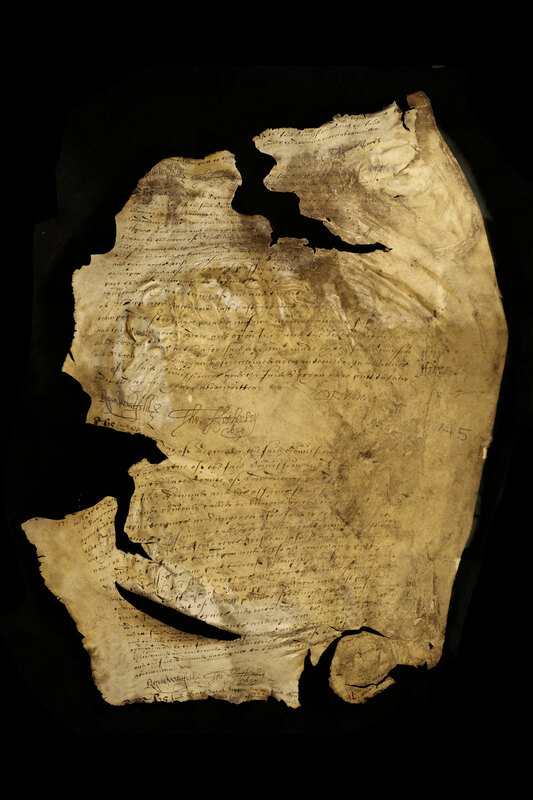 LMA is pleased to be working with UCL on research into the multispectral imaging of archival documents. 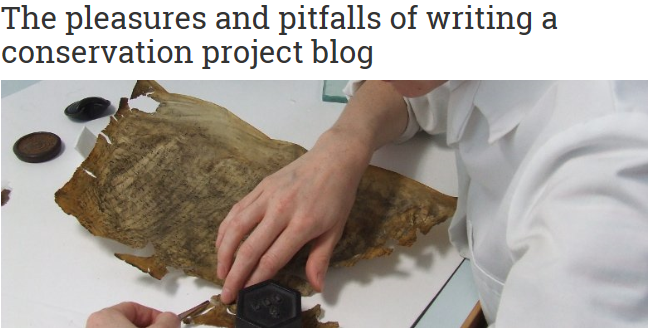 Find out more here about recent research on degraded historical texts written on parchment, and events and discussions about this hot topic. 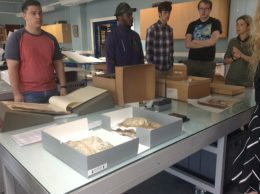 LMA is pleased to have contributed the raw material which allowed our partners at University College London to carry out research on the multispectral imaging of degraded historical texts written on parchment. 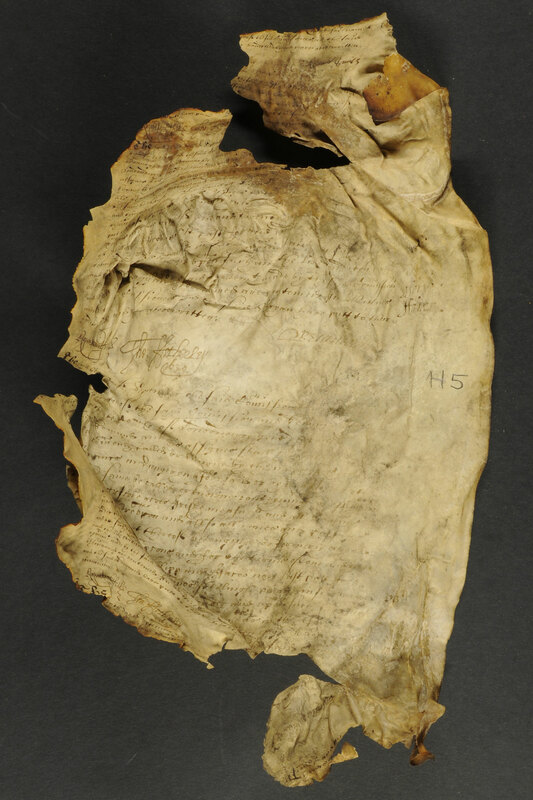 They chose to focus on parchment documents for their study, given that parchment remains the primary medium of large quantities of culturally important documents in archives, museums, libraries, and private collections. Multispectral imaging is an advanced digitisation method for acquiring image data over a series of wavelengths across the light spectrum. 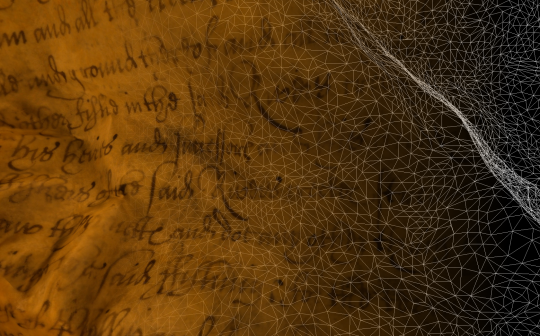 Combined with image processing, it has become a valuable tool for the enhancement and recovery of information contained within culturally important documents, providing a means, in some cases, to recover lost text, or examine other features no longer detectable by the human eye. 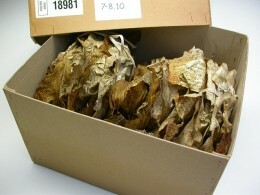 The aim of the research was evaluate this technique in a structured fashion, to provide recommendations on how best to capture and process images when working with damaged and abraded textual material. “The value of critical destruction: Evaluating multispectral image processing methods for the analysis of primary historical texts” by Alejandro Giacometti, Alberto Campagnolo, Lindsay MacDonald, Simon Mahony, Stuart Robson, Tim Weyrich, Melissa Terras, Adam Gibson was published in the online journal Digital Scholarship in the Humanities by Oxford University Press on behalf of European Association for Digital Humanities on 7 October 2015. Effective spectral imaging requires not just collection of quality images, but the ability to manage and exploit large amounts of integrated data and metadata for cultural heritage studies. Mike Toth, Honorary Research Associate at UCL, who is supporting the integration of spectral imaging systems into digital humanities studies and institutions, is speaking about this at a seminar “More than the eye can see: Digital Humanities spectral imaging” at UCL on 28 October 2015 5.30-6.30pm. All welcome and there will be drinks and discussion after the talk, but please note that registration is required. More information is available here. Mike Toth was also speaking in the United States at Sightlines, a panel discussion and technology petting zoo with light-based technologies, presented by the Digital Futures Consortium of Harvard University on 14 October 2015. This event brought together experts and thinkers from multiple disciplines to discuss 2D, 3D, and multispectral imaging for cultural heritage collections and is one of a three part series. The presentations will be published on the Sightlines website in due course. It is always good to get feedback on the worth of the project and to know that it is achieving what we set out to do at the outset for all potential users. 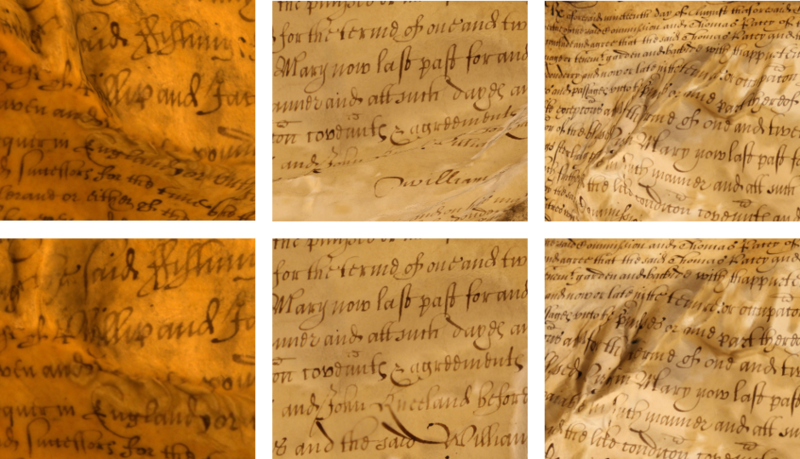 In her recent post on the Worldwide Genealogy blog, Sue Adams of Family Folk cites the Great Parchment Book project as an example of high quality digitisation combined with careful and accurate presentation which best supports personal scholarship. 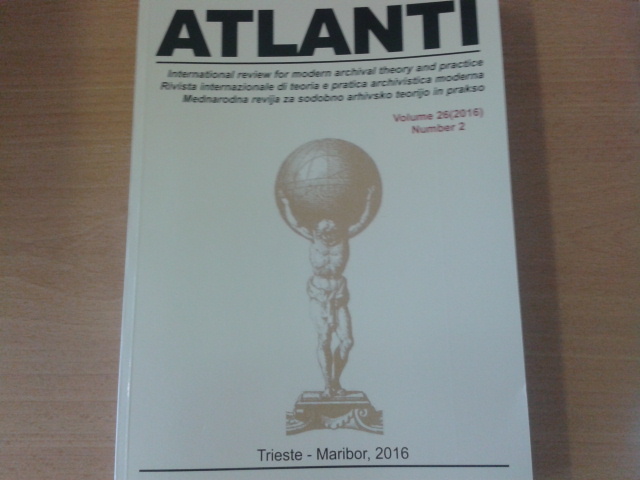 The article is entitled Book Breaking and Digitisation and well worth a read. To celebrate its 5th birthday, the UCL Centre for Digital Humanities has launched an annual invited series of lectures in the digital humanities where esteemed academics can have a public platform to speak about their work. The series is named after Professor Susan Hockey, the Emeritus Professor of Library and Information Studies at UCL. To mark #UCLDH5, Susan Hockey will be giving the first inaugural lecture of the annual Susan Hockey Lecture in Digital Humanities. The lecture, Digital Humanities: Perspectives on Past, Present and Future, will take place on Wednesday 27 May 2015, at 6pm (exactly five years after UCLDH was formally launched) in the Sir Ambrose Fleming Lecture Theatre, Roberts Building, UCL. Everyone is welcome, but spaces are limited so please register to attend. Interesting visit this morning (Tuesday 28 April 2015) to see the Multispectral Imaging System in the UCL Centre for Digital Humanities Multimodal Digitisation Suite. Meghan Hill, a hyperspectral imaging technician, gave an insightful demonstration using examples from the Library of Congress in the USA, as well as showing the live set up. 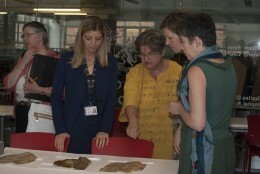 The system gives UCL world-leading capabilities in the advanced imaging of cultural and heritage material and London Metropolitan Archives is pleased to be associated with UCLDH in this important research. 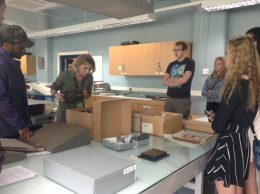 The visit has already given us some ideas about archives held by LMA to which the non-invasive techniques shown us can be applied to help us better understand the documents physically and make the information they contain more accessible, and indeed even reveal hidden treasures. Watch this space! This exciting cross-disciplinary project focuses on the multispectral imaging of documents to enhance the reading of lost text, corrections and watermarks. The project aims to develop standards for capturing and processing multispectral imaging in libraries, archives, galleries and museums; these standards do not currently exist. The student will work with conservators, archivists and industry specialists. The project will be supervised jointly by UCL Medical Physics and Biomedical Engineering and UCL Centre for Digital Humanities, R B Toth Associates, British Library and London Metropolitan Archives. The project is part of the EPSRC Centre for Doctoral Training in Science and Engineering in Arts, Heritage and Archaeology. More details of the studentship and how to apply are available here. The application deadline is midnight on 1 April 2015. A digital mapping resource is being developed which allows the user to compare maps of Londonderry for different time periods. It includes Thomas Raven’s map of 1622 which was surveyed just prior to the compilation of the Great Parchment Book. 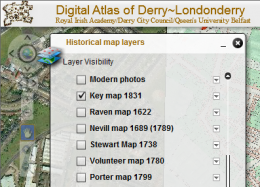 The Digital Atlas of Derry~Londonderry is a collaboration between the Royal Irish Academy, Derry City Council and The School of Geography, Archaeology & Palaeoecology at Queen’s University Belfast. Based on the Irish Historic Towns Atlas, no. 15, Derry~Londonderry by Avril Thomas (Royal Irish Academy, Dublin, 2005), the Digital Atlas provides users with historical and topographical information about the city of Derry for selected time-periods. The key map is a reconstruction of the city in 1831, which is presented in an interactive way. Streets, buildings, city walls/gates and public buildings are mapped and further detail such as name, dates and other historical information is provided in pop-up boxes. As well as the 1831 map, earlier and later historical maps, including Raven’s 1622 map, can be overlaid and compared. The different map layers reveal not only the way the city developed, but also the way that mapping evolved since the walled city was founded in the 17th century. This web-GIS resource is still at an experimental stage, but is worth taking a look at. As we near the end of 2014 and reflect on what we have achieved in the past year and what we hope to achieve in 2015, I encourage you to read “Digital Humanities in the Anthropocene”, a talk by Bethany Nowviskie delivered at the Digital Humanities 2014 conference in Lausanne, Switzerland. This thought provoking piece on the place of technology and the humanities in the world as it is now and will be in the future, has provoked a wide-ranging discussion which you can follow from the links in Bethany’s blog. And if you want to catch-up more generally with what happened at the the Digital Humanities 2014 conference, details – including videos of many of the talks – are posted on the DH2014 website. Professor Melissa Terras from UCL who was Programme Committee chair delivers Bethany’s talk which was the Community Plenary lecture. The Association for Historical and Fine Art Photography for cultural heritage imaging professionals in the UK and Ireland, held its 2014 annual conference on 27 November at the Wellcome Trust in London. The theme of this year’s conference was ‘Best practice?’ and focussed on managing change in a world where technology is continually improving digital photography. The Keynote speaker was Cecile van der Harten, Head of the Imaging Department at the Rijksmuseum in the Netherlands whose talk was entitled ‘2+3D Photography – practice and prophecies – A look at the future of digitisation’. 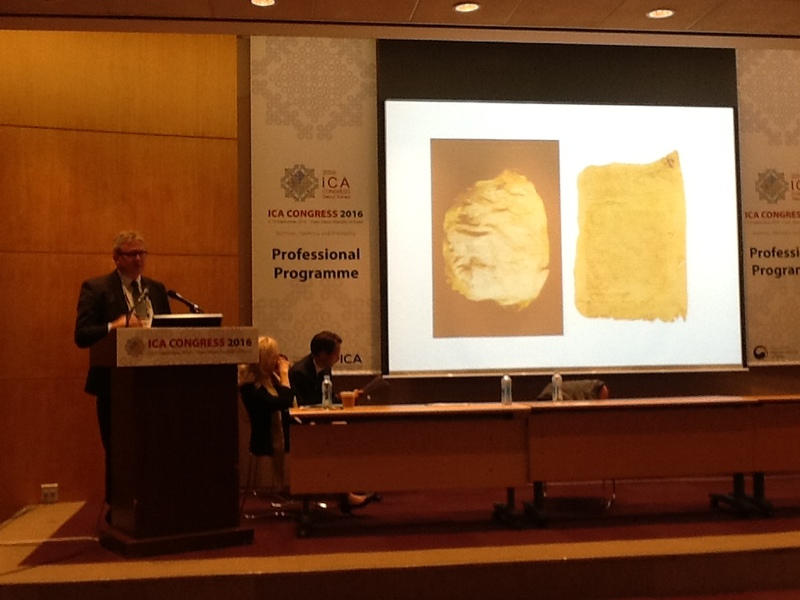 She was followed by wide range of other speakers including Dr Tim Weyrich of University College London, who showcased the work of UCL including the Great Parchment Book project. Abstracts of the all the talks can be found here and the view from the floor can be explored via the Twitter hashtag #ahfap14. Cecile also looked forward to an international conference ‘2+3D Photography – Practice and Prophecies’ at the Rijksmuseum, 15–16 April 2015. 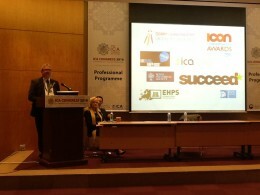 As well as promoting the adoption of existing standardized workflows and exploring new digital challenges, the conference will also look at how new techniques can be incoporated into international standards of practice. More information is available here. Wouldn’t it be wonderful if Optical Character Recognition (OCR) software could be developed to read handwriting as well as printed text? University College London is part of a consortium aiming to do just that. 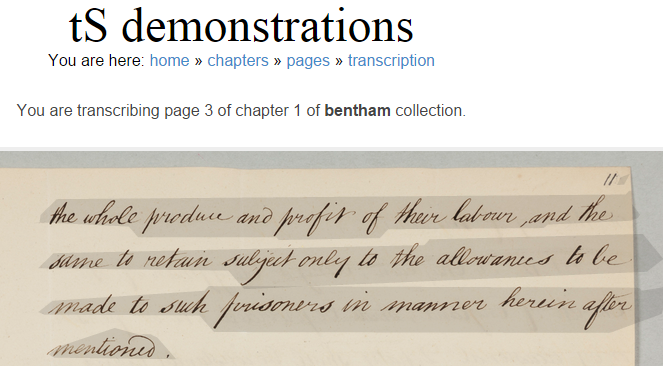 The aim of the tranScriptorium project is to develop innovative, efficient and cost-effective solutions for the indexing, search and full transcription of historical handwritten document images, using modern, holistic Handwritten Text Recognition (HTR) technology.You can find out more about the project on its website. To see the magic in action, take a look at some of the examples on the website (click on this link and then on a picture to start). The examples are in constant development as the computer code behind the process is being uploaded and tweaked, so it’s worth revisiting the site to keep an eye on what’s going on. 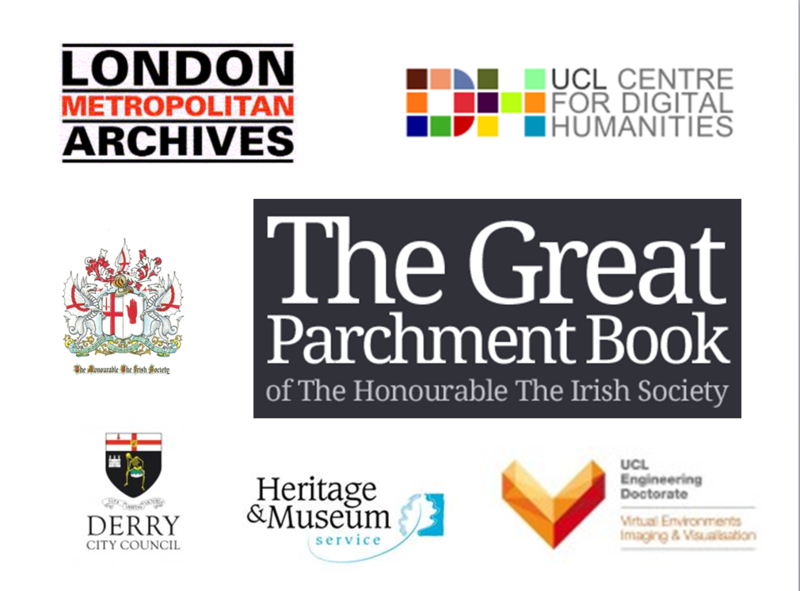 LMA’s partners at UCL have set up a web page dedicated to the Great Parchment Book project that serves to disseminate academic publications and related presentations and reports resulting from the project, as well as the free software developed in the course of the project. Keep an eye on the page for news about publication, and for updates on the software. Professor Melissa Terras, Director of the UCL Centre for Digital Humanities and Great Parchment Book project partner has been visiting Australia and was one of the featured speakers at eResearch Australasia 2014. 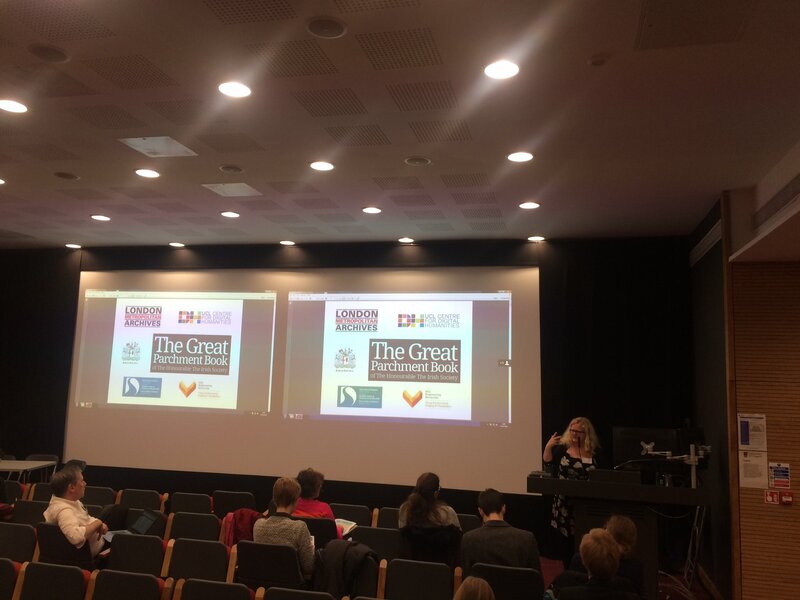 She also gave a talk about the Great Parchment Book project at The University of Melbourne on 31 October. Her lecture at eResearch Australasia 2014 – entitled Across the Humanities and Science Divide: Advanced Digital Projects in Cultural Heritage – examined the ever increasing need for the development and appropriation of advanced computational methods within the Humanities and Cultural Heritage. Although the Arts, Humanities and Heritage sectors have often been early adopters of available computational technology, the use of such methods to answer novel research questions often depends on close relationships with those in the computational sciences to ensure that technologies can be applied with enough specificity to be useful to a certain case or domain. 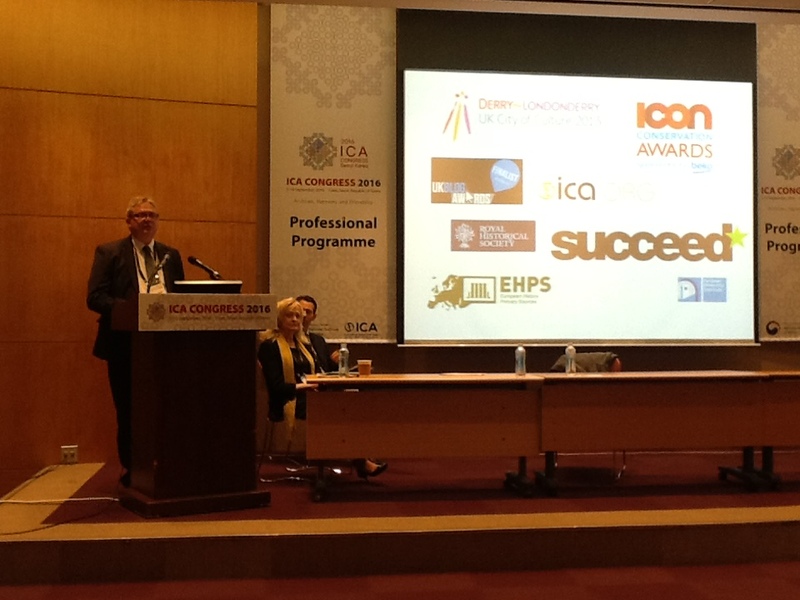 How can we best build such interdisciplinary research projects to ensure success? How can the field commonly called Digital Humanities help us to explore and push against disciplinary boundaries? 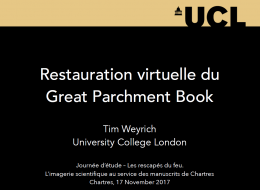 In the lecture, Professor Terras demonstrated some of the leading-edge work that has been carried out at UCL Centre for Digital Humanities and its related partner institutions including the Great Parchment Book project. She used specific case studies to illustrate the benefits, and common pitfalls, encountered, whilst working in large scale, interdisciplinary teams, and explore how a centre such as UCL Centre for Digital Humanities could work as a catalyst within a research institution to encourage people to undertake such activities. She also addressed the issue of how universities and external partners support such resource intensive experimentation. Professor Terras’s talk at Melbourne University looked at issues involving using advanced imaging methods within cultural heritage, particularly regarding the relationship the resulting model has to the primary historical text. Using the Great Parchment Book as a focus, she asked how we can best integrate multi-modal imaging into our humanities research practices? What issues are there for both research and practice? More details are available here. Professor Terras is also speaking at the University of Western Australia in Sydney at a Digital Life Seminar. Is digitising historical texts a bad idea? You can read more about the debate here. Our colleagues at UCL, Kazim Pal and Tim Weyrich, in collaboration with Olga Sorkine-Hornung’s group at ETH Zurich, have put together this video to present the ground-breaking interactive method they have developed to digitally restore severely damaged historical parchments based on their work on the Great Parchment Book. The response of those here at LMA was “Wow!” both when we first watched the video and on subsequent viewings. You can see the amazing results of the method when applied to the Great Parchment Book in the sample of new and improved enhanced images we have uploaded for folios A1r, B18r, H4r, K3r, N2r, N3r and Q1r. Here are the images for K3r as an example with the original image on the left and new, improved flattened image on the right. It will take us some time to digitally flatten and upload all the improved images using the method developed by UCL: we’ll keep you posted about progress. If you want to know more about how they did it, Kazim Pal, Christian Schüller, Daniele Panozzo, Olga Sorkine-Hornung and Tim Weyrich have published the method in an academic paper entitiled “Content-Aware Surface Parameterization for Interactive Restoration of Historical Documents” which will appear in Computer Graphics Forum (Proc. Eurographics), 33(2), 9 pages, 2014. 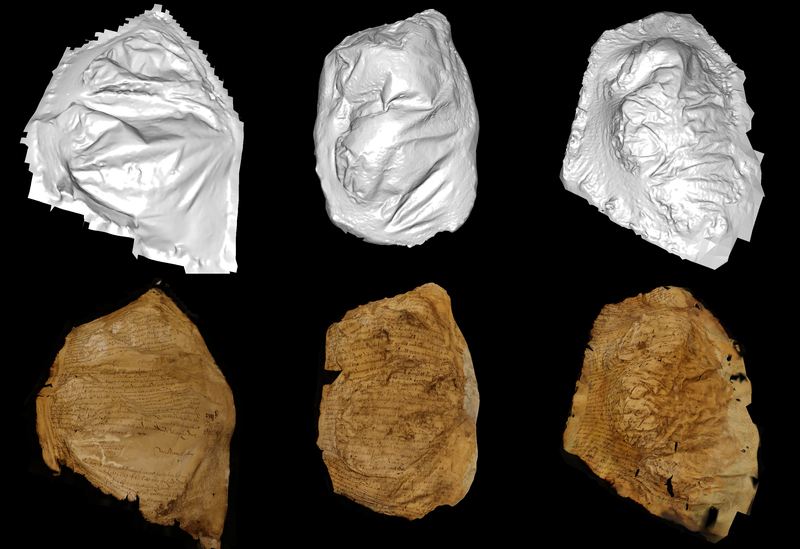 You’ve seen the recently uploaded enhanced images, now watch an extended video of the digital flattening put together by our project partners at UCL. 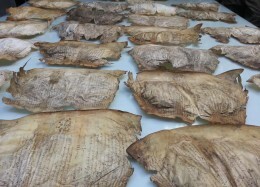 We recently had our paper, Interactive Exploration and Flattening of Deformed Historical Documents, accepted for publication in the Computer Graphics Forum and to be presented at Eurographics 2013. Our procedure begins by capturing a set of high resolution photographs of the pages of the book, and generating from them a detailed 3D scan of each page. Typically we need between 40 and 60 images per folio to capture every fold and crease in sufficient detail. Using these scans we attempt to “virtually restore” the pages and produce undistorted images of the pages. Three pages of the Great Parchment Book. Top: our reconstructed surface model. Bottom: the models textured with images of the text. The surface models show the level of distortion the parchment has suffered, which differs greatly from folio to folio. Having generated scans for the majority of the pages in the book, we realized that producing a globally flattened and undistorted image of a page is not always possible for the more damaged pages due to the sheer variety and complexity of the deformations present. To get around this problem we instead created an interactive browser application, effectively a “Google Earth for documents”. Google Earth allows users to navigate over the surface of the earth following lines of latitude and longitude, and always see a locally flat map of the region of the earth they are looking at. In a similar way, our viewer allows users to navigate over the surface of the page following lines of text, and see a locally undistorted image of the region of the page currently in view. One of the key insights here is that flattening multiple small, local regions of a page is much simpler than flattening the entire page at once. We also understand the importance in the digital cultural heritage field of being able to trust digital representations of artifacts. 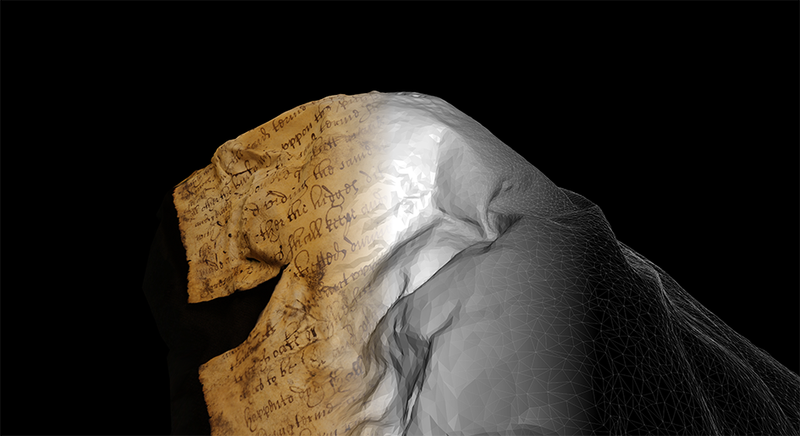 To help users gauge the quality of the reconstruction and be more confident in what they read, our application includes a “provenance feature” which allows them to compare the 3D scan and the original photographs which were used to generate the scan. For every point on the scan surface, the application can display an original input photograph next to it which allows the user to verify what they are seeing in the scan. 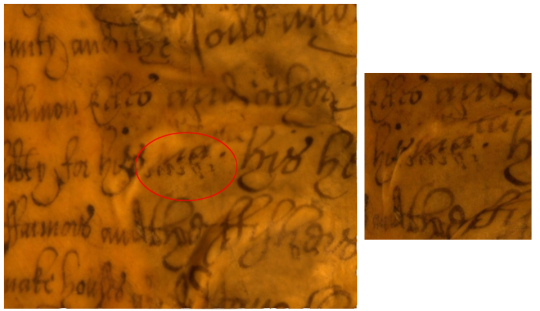 Left: A region of a reconstruction of a page, containing a suspect marking which looks like it might have been introduced by an error in the reconstruction process. Right: One of the original photographs, looking at the same region of the page. 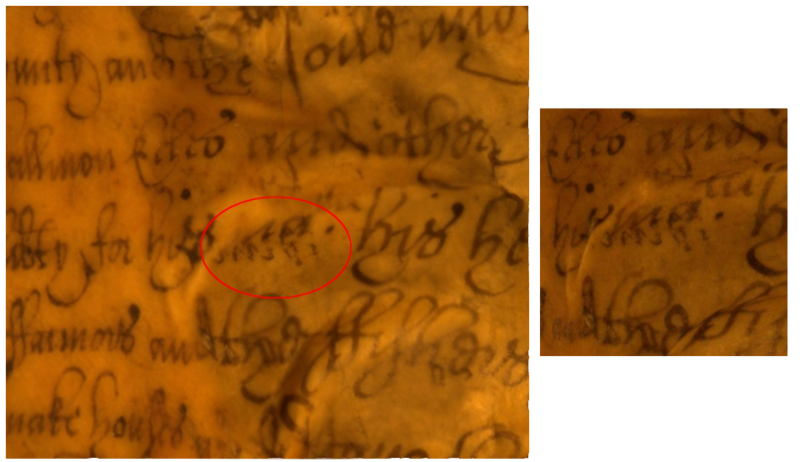 We can see that the marking is in fact present on the page. 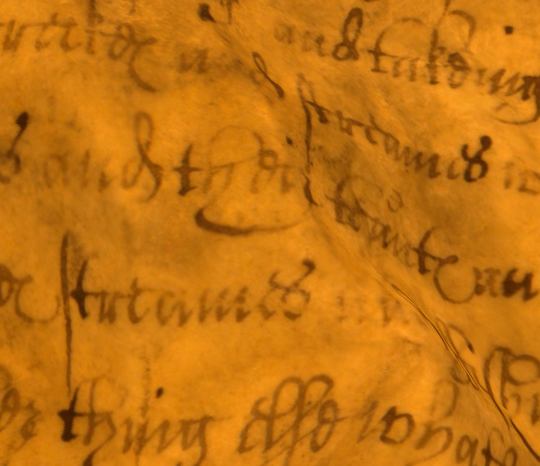 Our application will soon be used as an additional tool for the transcription of the Great Parchment Book and possibly later as a means of dissemination of the book’s content. Alongside all the conventional conservation work happening on the book, here at UCL we are experimenting with ways to “virtually restore” the book using a mix of imaging, computer vision, and computer graphics techniques. Our approach is two-fold. First create a virtual 3D model of each page, and second flatten the 3D model into a 2D plane. It sounds fairly simple but is deceptively complex. Creating detailed models of the pages requires a careful imaging process to try to get inside every crease and fold and capture every letter at as high a resolution as possible. The result is a set of 50 or so high-resolution images (for each page of the book). These are fed into a pipeline of computer programmes which (after a considerable amount of processing time) generates the 3D model. Then comes the problem of flattening the page in a sensible way. At first glance, it would seem that we want to just “unfold” the page as you would a crumpled piece of paper. However, the way the pages are distorted is not like crumpling a piece of paper and so there is no nice and easy way to “unfold” them. So now the problem becomes “how can we flatten the page into a 2D plane in such a way that the text does not become distorted”, and that is what we are trying to solve at the moment.